Kyoto was Japan's capital for over 1000 years and due to its exceptional historic value, the city was saved from the atomic bomb and escaped destruction during World War II. We will be visiting the famous shrines, temples, and gardens that survived. 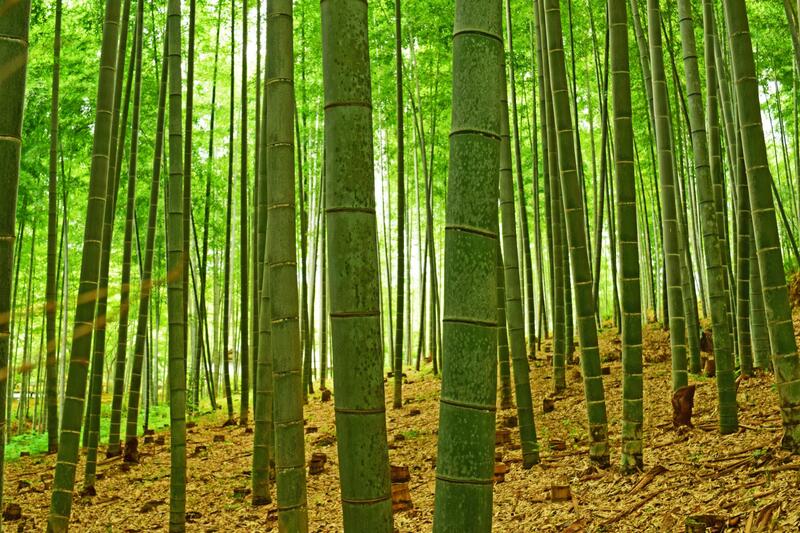 Then we will head to Arashiyama, a nationally designated Historic Site and Place of Scenic Beauty. 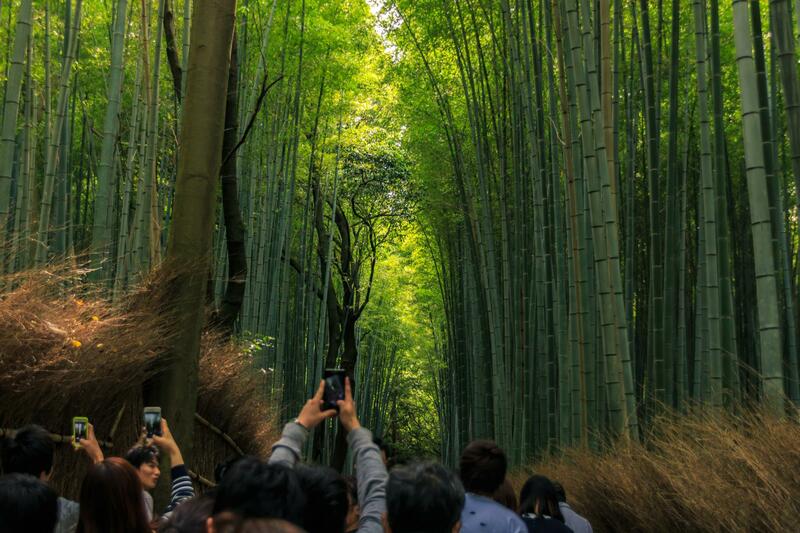 The area that has been a popular destination since the Heian Period (794-1185), where the nobles come to enjoy its natural beauty and its bamboo forests. We will be taking the scenic Sagano miniature train passing the Hozukyo Ravine and depending on the season we can see Cherry blossoms in spring, lush greens in summer, Japanese maple in fall. The next day we will head to Arame 48 falls. Before we start our exploration, let's learn some basic ninja skills. 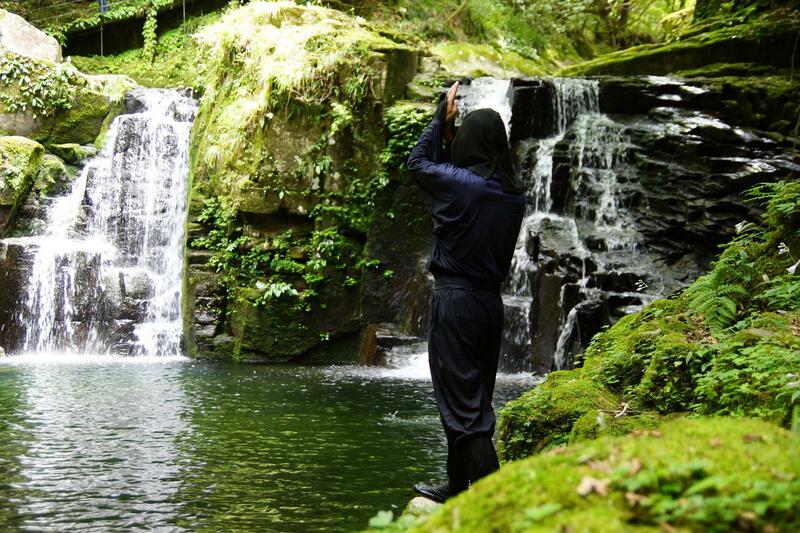 This remote land is where the ninjas honed their skills of stealth and combat, it was used as a training ground for the Iga-ryu ninja between the 15th and 18th centuries. After our unique ninja excitement we will start our hike and hopefully see all the 8 waterfalls of Akame, hiking to the mysterious trails, and hopefully we get to see the enormous amphibians the 2nd largest amphibians in the world. 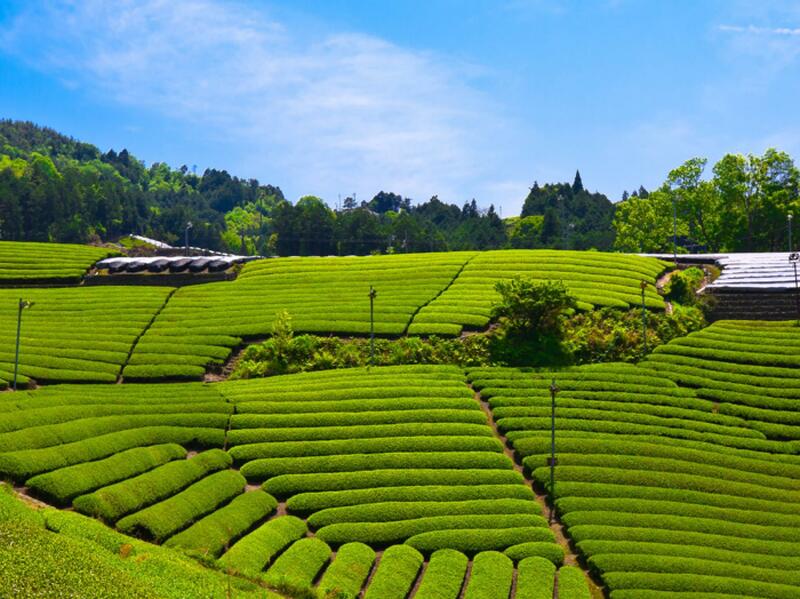 If time permits, we can try making matcha green tea sweets and Japanese tea. After which we will head to the trail head of Kumano Kodo for the night and get ourselves ready for the next 3.5 day walk. 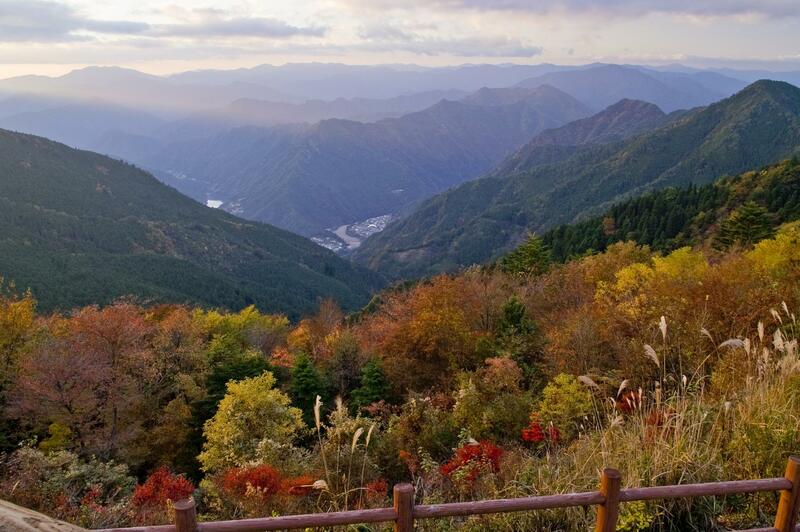 We begin our 2 hours exploration of ancient pilgrimage trails of the Kumano Kodo at Takijiri-Oji towards Takahara, where a steep but not too long a climb to a ridge awaits us. We climb at an easy pace to the top from where the trail is much gentler for the rest of our walk today. 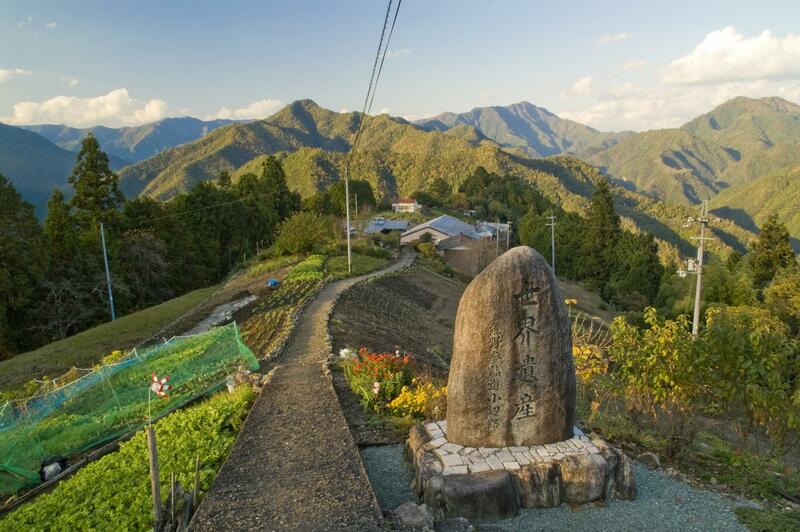 The next day we will leave Takahara on foot heading higher into the mountains along the pilgrimage trail. The hike is about 6 hours for 13km. We continue to pass by reminders of the old highway, including an ichirizuka distance marker, before descending to our lunch spot, which serves local delicacies. Continuing on we reach the Hashiori-Toge pass after a short climb. 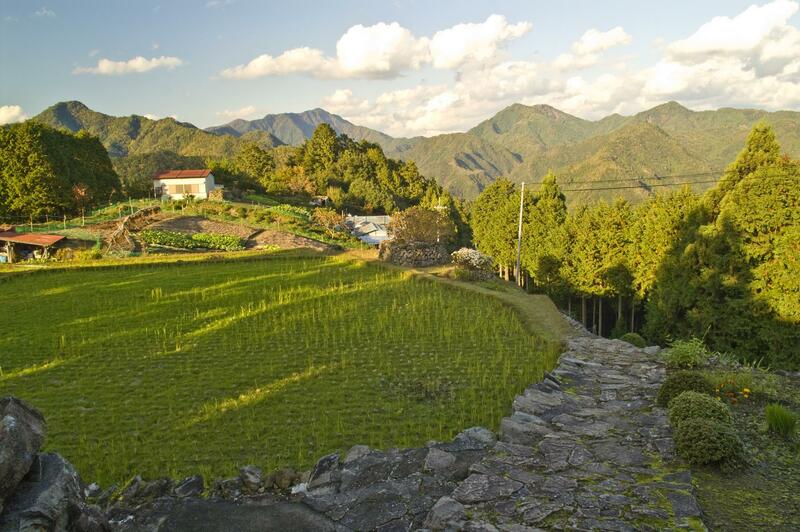 Then we will descent taking us along a cobbled path and staircase to Chikatsuyu, a small village. Our final stretch of the day takes us on a climb to Tsugizakura-Oji , famed for giant cedar trees and a thirst-quenching spring. From here we transfer by bus to Yunomine Onsen. At Yunomine Onsen, one of the most venerable hot spring villages found in Japan. A hot spring village with 1800 years of history. 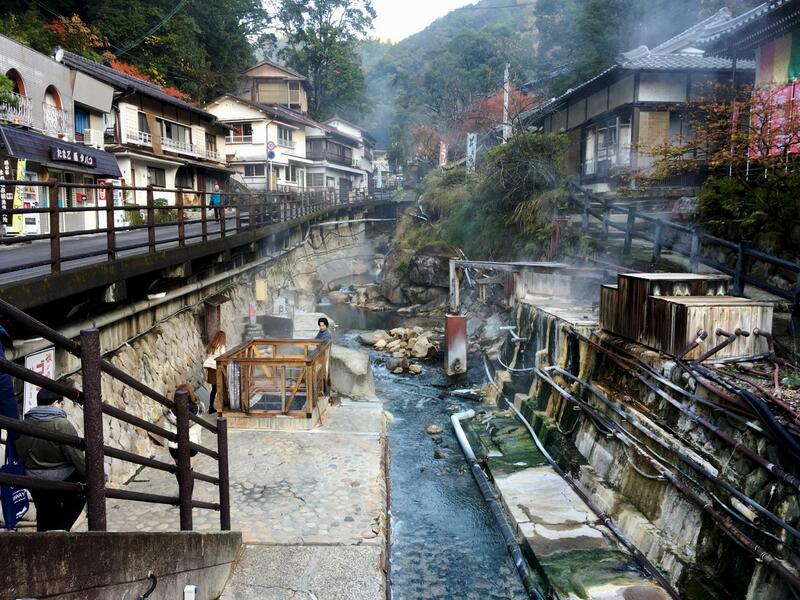 Yunomine Onsen has such a long history that one of its baths, Tsuboyu, is designated as a UNESCO World Heritage Site. Pilgrims would perform purification rituals in the hot spring water as part of the religious process of their pilgrimage. Tsuboyu is one of two public bathhouses in Yunomine. If we have energy left we can walk attempt to hike to Kumano Hongu Taisha area. It is the original site of Kumano Hongu Taisha, the 12 shrine pavilions that made up the grand shrine in Oyunohara that were swept away by a ferocious flood in 1889. The next day we will head to Hosshinmon-oji, start our 7km hike from Hosshinmon-oji to Hongu Grand Shrine. Several panoramic viewpoints can be found along the way. 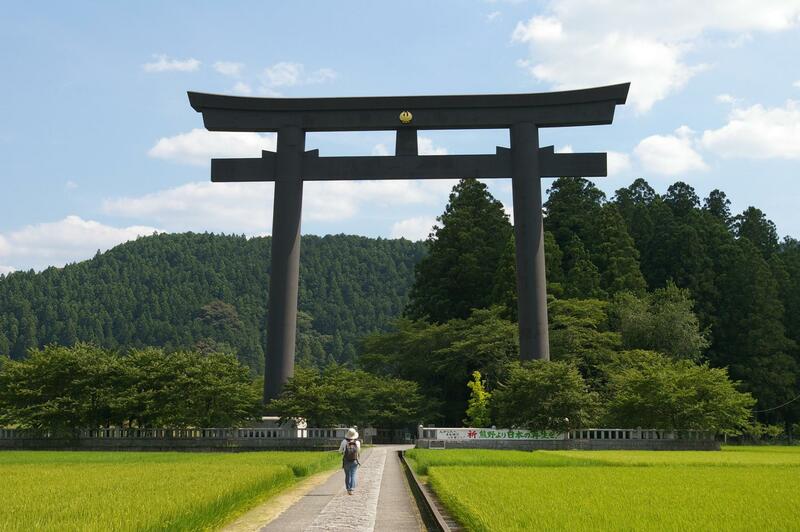 Hosshinmon-oji is known as the "gate of awakening of the aspiration to enlightenment" and marks the outermost entrance to Kumano Hongu Taisha's sacred precincts. The route follows a road through Hosshinmon Village from here to Mizunomi-oji. Keep a look out for the folk-art word carvings along the way. 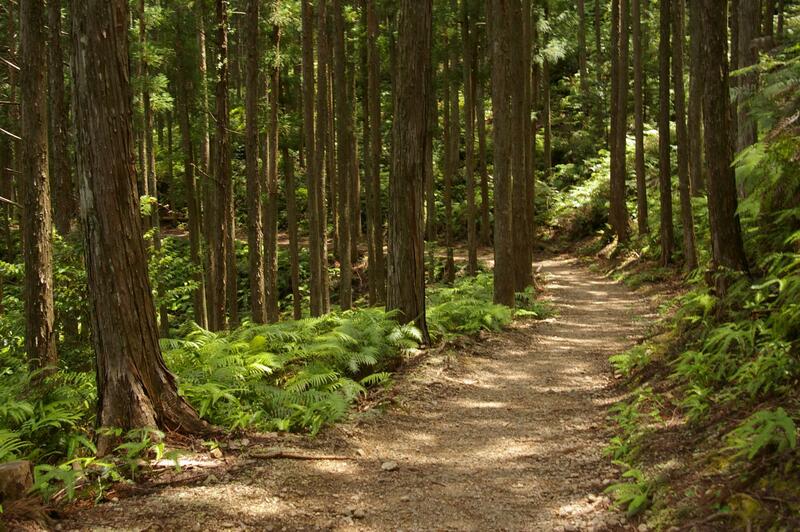 The trail enters the forest at Mizunomi-oji, the site of an old school house, and exits at the west end of the Fushiogami settlement, with its numerous tea plantations and terraced fields. 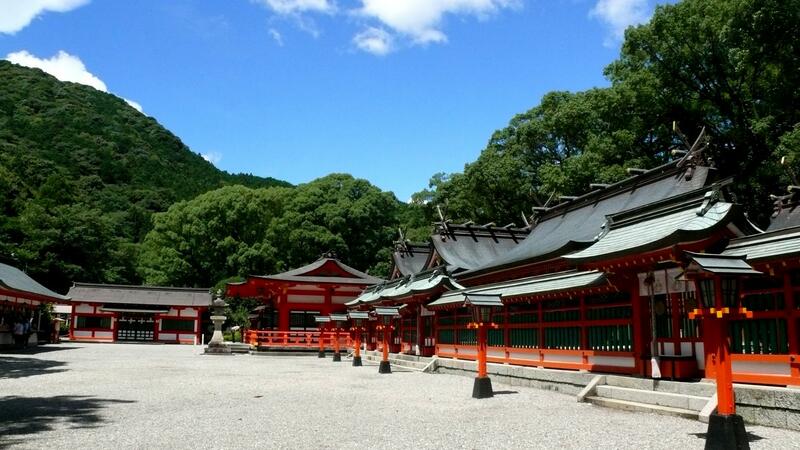 Kumano Hongu Taisha is one of the Kumano region's three famous shrines. 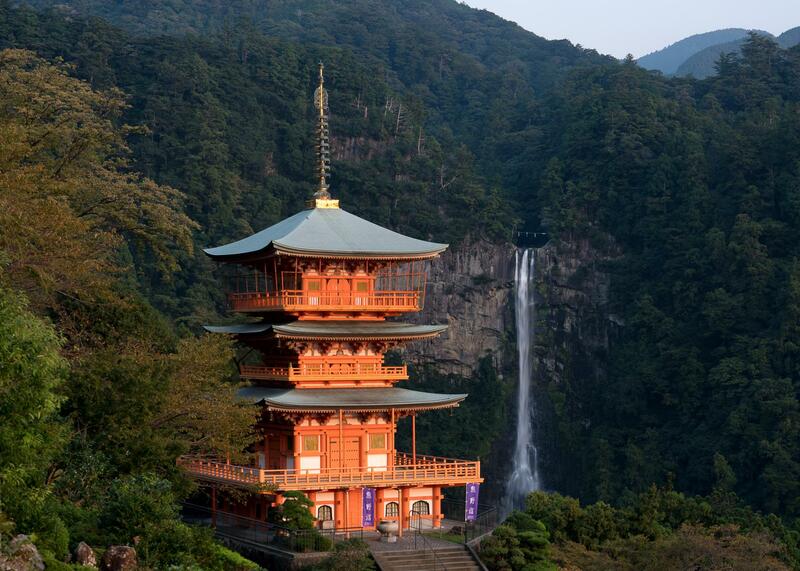 Kumano Nachi Taisha, famed for its tower and waterfall. 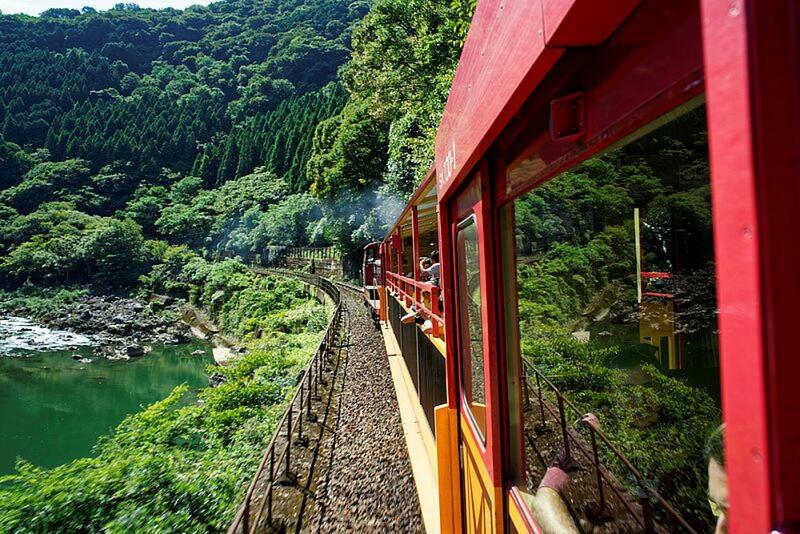 The charming, old fashioned trains wind their way through the mountains at a relatively slow pace, taking about 25 minutes to make the seven kilometer journey and giving passengers a pleasant view of the scenery as they travel from Arashiyama through the forested ravine and into rural Kameoka. We will overnight at Kii Katsuura area. 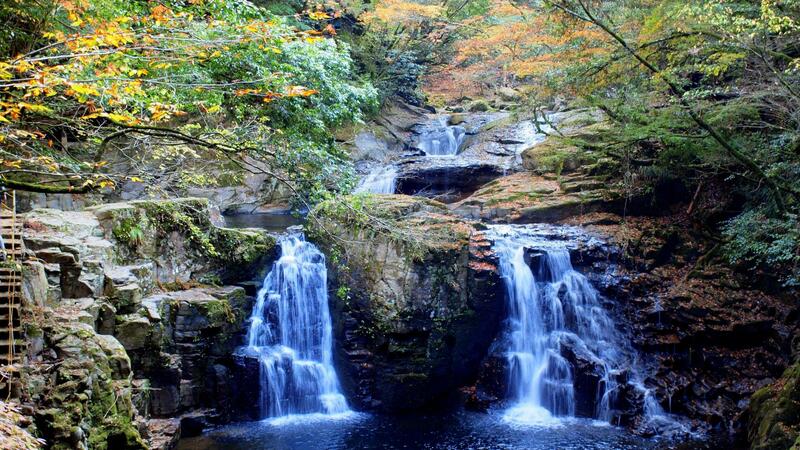 The next day we will make our way to Nachi Taisha shrine and the Nachi-no-Otaki waterfalls. Before that we may visit a fish auction in the morning. Our hike will end at the waterfall and we will make our way back to Osaka airport. Please take note this hike will be done on spring and autumn, therefore some photos are of different seasons, we should not expect a spring scene when we are hiking in autumn and vice versa. Also, depending on our speed and energy we may be able to cover more or less areas, for example Hatenashi Settlement and Oyunohara we may be able to cover if we have the energy. 1) We will be using public transport such as trains, buses, and taxis. 2) Big luggage will be transferred from Day 5 to Day 7 hotel for the Kumano Walk. We will be carrying the day pack only. 3) Day 5 to Day 7 stay will be sleeping in tatami style in ryokan and minshuku and we can be sharing room with as many as 8 people in the room.